Indonesia’s poverty and food security rate have been improving since the country’s recovery from the 1997 economic crisis. Poverty rates fell from 23.4% in 1999 to 15.4% in 2008. 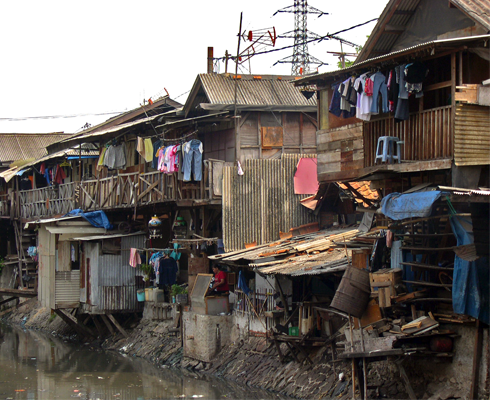 Despite the progress, however, approximately 15% of the population still lives in poverty. In addition, inequality continues to rise in Indonesia. Rising inequality can not only result in increases in extreme poverty, but can also harm social stability and economic growth. Poverty and inequality remain central to all of SMERU's research. In 2014, we updated our Poverty Map, which details the poverty level and livelihood conditions of 76,125 villages across Indonesia. SMERU has also recently examined the impact of inequality on social cohesion, as well as economic growth and unemployment. SMERU continues to be a leader in Indonesia on poverty research.